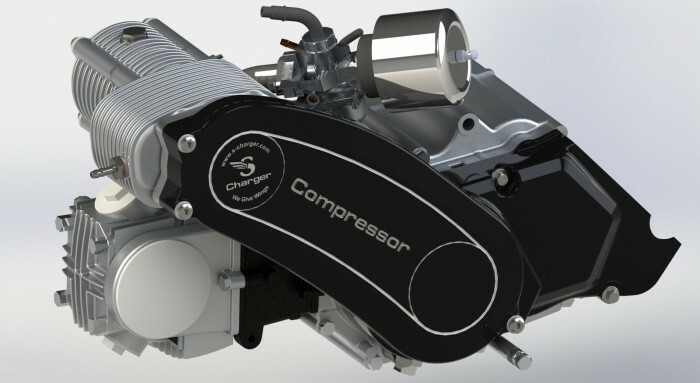 By supplying compressed fresh air the proposed Supercharger Kit dramatically improves performance of an internal combustion engine used for 50ññ – 350cc mopeds, scooterettes, mini-motorcycles, motor bikes and scooters. 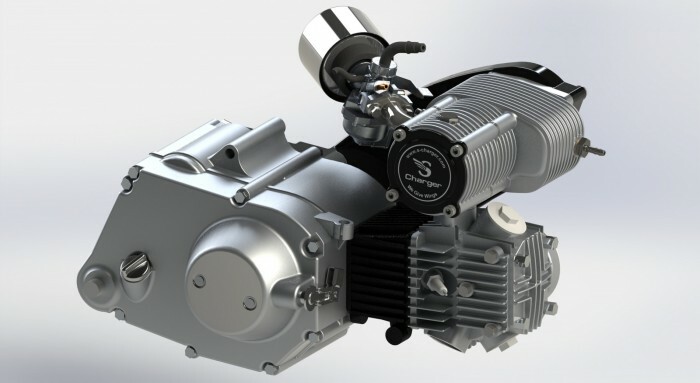 Our team has come up with inexpensive air pumps, which offers power boosting and torque increase of up to 150% for a number of bikes of different displacements (50ññ-350ññ). Our team targets a very common bike (Pic. 1. 50cc Target Bike.jpg) powered by a single-cylinder, carburetor, 50cc, four-stroke engine like Z50J, AB27, 1P39FMB, 139FMA, ZS139FMB, 1P39FZA and other similar engines. The bike got additional gadgets to measure its performance parameters. 1. Use only a bike coming from the mass production assembly line. 2. The vehicle operator should be able to mount the installation kit easily. 3. No parts of the target bike, especially of its engine are modified except changing the main jet of a carburetor. 4. Upon request an operator is able easily dismount the kit and return the target bike back to its original state. R&D consisted of the following steps. Step 1. The target bike (VIN Code Z50J-23020**) gets additional gadgets and road tests in order to measure a number of its performance characteristics and some other parameters. Pic. 1. 50cc Target Bike.jpg is a picture of the target bike. Step 2. 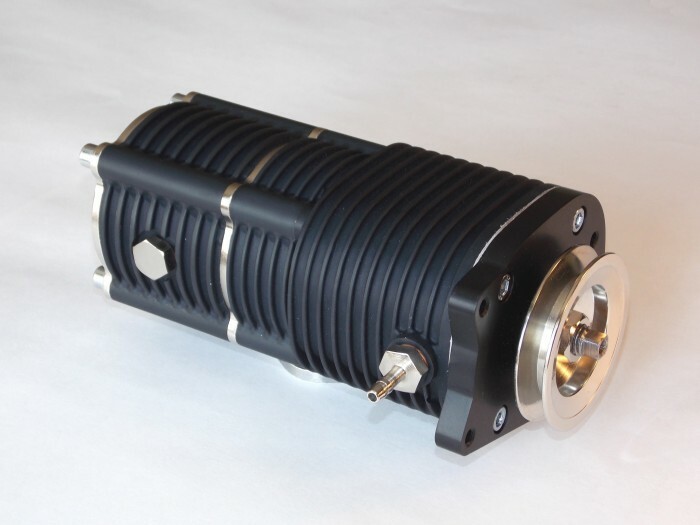 A newly designed, fabricated, and tested Supercharger fits the given engine productiveness. 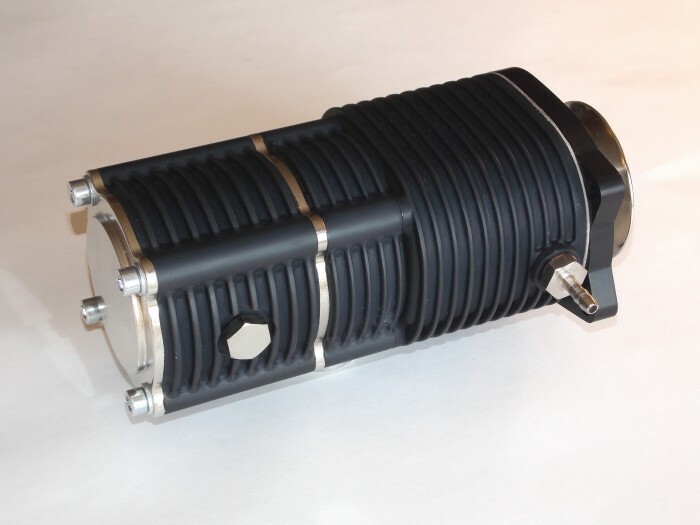 All our supercharger designs are true positive pumps, so they can be used specifically for a given engine type with a preliminary determined OEM (“passport”) displacement. 2. 50cc_Charger_1.jpg, 3. 50cc_Charger_2.jpg present two pictures of the in-house-developed supercharger (see picture below). Step 3. The target bike gets its own Supercharger Installation Kit. Its design meets the above-mentioned requirements and conditions 1-4. 4. 50cc_Kit_3D_1.jpg, 5. 50cc_Kit_3D_2.jpg are 3D Solid models pictures. A. The 50 cc bike without any modifications was tested paying special attention to its acceleration parameters. B. Then the same bike got a very common way of tuning, e.g. its piston-cylinder group was replaced with the one of 75cc. Test also targeted acceleration parameters as well as some other characteristics like productiveness. C.	The bike returns to its original state and is tuned by installing the Supercharger Kit on it. Table 3. Cost of ÎÅÌ parts for 75cc tuning, see Cost OEM parts.jpg. 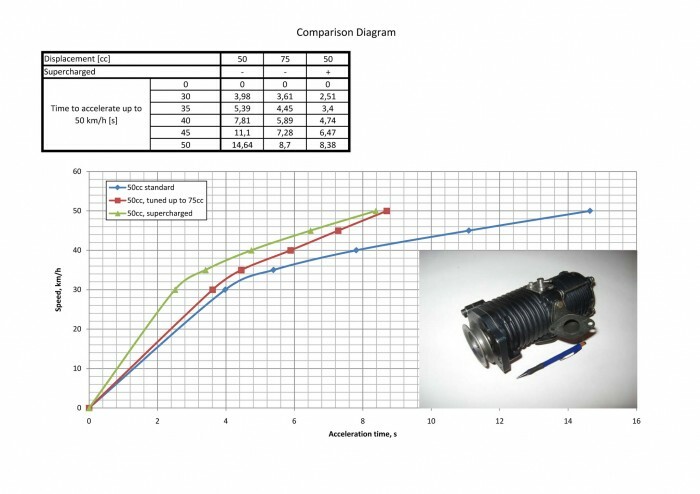 Based on the above described latest experience and experiments the installation of the Supercharger Kit is more preferable in terms of acceleration than deep tuning, which assumes the cylinder-piston group replace. It is important to note that the installation is done by the bike operator. The modified supercharged bike requires an operator to get adjusted to the new riding habits, which in turn means more riding fun. HM 50cc Pilot Report.doc is a document that features those new skills of riding the supercharged bike and has been provided by the experienced motorcycle person after actual test-driving. This report is available upon request. This project met all the originally set requirements for the Supercharger Kit to be accounted during its development, design, and manufacturing. Prime objective was to keep the overall cost of the modification as low as possible. As result in particular, the project outcome proves that deep tuning costs at least twice as much as the Supercharger Installation Kit. There are other ways of tuning. The installed Supercharger reduces acceleration time by half. As a part of this project, the further acceleration time decrease is available due to additional supercharging. More acceleration time decrease (we presume -- up to 4 seconds!!!) is possible only at the expense of additional significant funding, that we do not have, and stress increase of the main 50cc engine parts. Our expertise proves the ability to develop and manufacture a Supercharger Kit practically for any vehicle powered by four-stroke carburetor small (50cc-350cc) engine within short period. Since the market of such transportation means is huge, the kits mass production guarantees fast return of investment. As an R&D team, we are looking for the cooperation with individuals/entrepreneurs/business entities/manufacturers for advancing this project to the market. Collaboration on J-V basis for full-scale interaction for the Supercharger Kit mass production (Investment and Profitability matrix are available upon request) is expected to successfully combine out engineering expertise with the prospective partner investing experience. Rest of pictures, mentioned above, additional information and data clearing up the technology and approaches are available upon request at E-mail: [Use the button below to contact me]. Page created at 2019-04-25 19:59:59, Patent Auction Time.